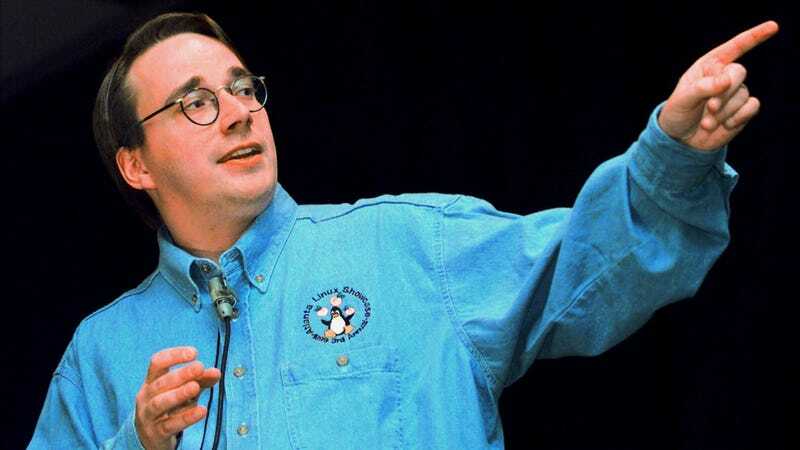 Famed Linux developer Linus Torvalds has some pretty harsh words for Intel on the fiasco over Meltdown and Spectre, the massive security flaws in modern processors that predominantly affect Intel products. Meltdown and Spectre exploit an architectural flaw with the way processors handle speculative execution, a technique that most modern CPUs use to increase speed. Both classes of vulnerability could expose protected kernel memory, potentially allowing hackers to gain access to the inner workings of any unpatched system or penetrate security measures. The flaw can’t be fixed with a microcode update, meaning that developers for major OSes and platforms have had to devise workarounds that could seriously hurt performance. In an email to a Linux list this week, Torvalds questioned the competence of Intel engineers and suggested that they were knowingly selling flawed products to the public. He also seemed particularly irritated that users could expect a five to 30 percent projected performance hit from the fixes. As Business Insider noted, as the person in charge of the open-source Linux kernel, Torvalds may be freer to share his opinion on Intel’s explanation for the issue than engineers working for the company’s business partners. Intel is currently being hit by a series of class action lawsuits citing the flaws and its handling of the security disclosure. While workaround fixes for affected systems—or at the very least, those that are still supported by developers—have begun rolling out, per Wired, they’re far from an ideal solution. Meltdown patches are available for Microsoft, Apple, Google and Linux systems, though Spectre is a far more difficult to resolve vulnerability and it may in fact be impossible to guard against it entirely without replacing hardware. While consumer systems are impacted, enterprise systems like cloud service providers may suffer the biggest performance hits, take the longest to patch, and are the likeliest targets of any malware targeting the exploits.